Leo OBD is a tracking device that plugs into the OBD ii port of any vehicle. All cars manufactured after 1996 are required to have this port inside their vehicle. Leo OBD will provide updates every minute. Leo Minor is a portable device that features two and a half weeks of battery life as well as a rechargeable battery. Place inside any vehicle or with the additional magnetic clip, place on the top side of the frame of a vehicle. Private Investigators can simplify cases with King Tracking's GPS tracking devices. Leo tracking devices make it easier for detectives to handle large caseloads. Keep track of the elderly with King Tracking's tracking devices. Dementia is a serious disease and with our Leo Minor device, prevent your loved one from wandering off. With Leo Minor's water resistant design, keep track of all containers and shipments. 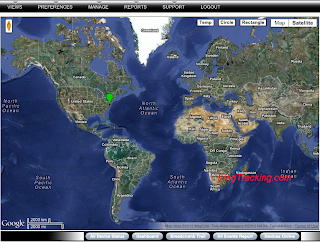 Keep track of containers and trailers with our Leo tracking devices. Concerned that your teen may be using your vehicle without your permission? Are you nervous that they may be spending time with the wrong crowd? Would you like to know your teen’s driving habits? 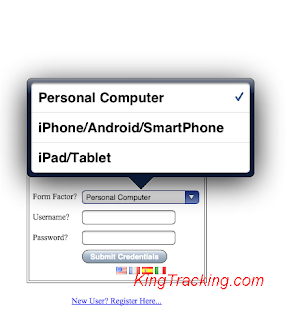 King Tracking offers tracking devices that can solve all of these issues. Leo OBD is perfect for teens and can simply be plugged inside their vehicle. If you fear that they may find the Tracker, purchase the “Y” cable to conceal it and they would have no idea that it is there. Once installed simply log into the software from any phone or computer. Find out everything such as the route they have taken, hard braking, excessive speeds, and when the vehicle is in motion. You can even configure alerts to be sent to your phone via text message or email of any such occurrences. Leo Kill Switch is another excellent choice to track your teens, since it is undetectable and also has the relay switch. If your child is not supposed to be driving, just access the vehicle remotely and disable the ignition. Also, if the vehicle is ever stolen, the ignition can be killed and you can find out the location with the tracking software. Perimeters are an excellent way to make sure that your teen isn’t spending time with the wrong group of people. Perimeters can be designated in high crime areas or just in areas in general that you would not like your teen to travel to. Set up alerts that will be sent to your phone and/or email anytime your teen enters an unauthorized area. The safety of your child should always be a parent’s primary concern and there is no penalty for being too cautious. Parents are teachers, so help instruct your teenagers to make the right choices. Go to work with a clear mind knowing that your child is completely safe. All Rights Reserved King Tracking.